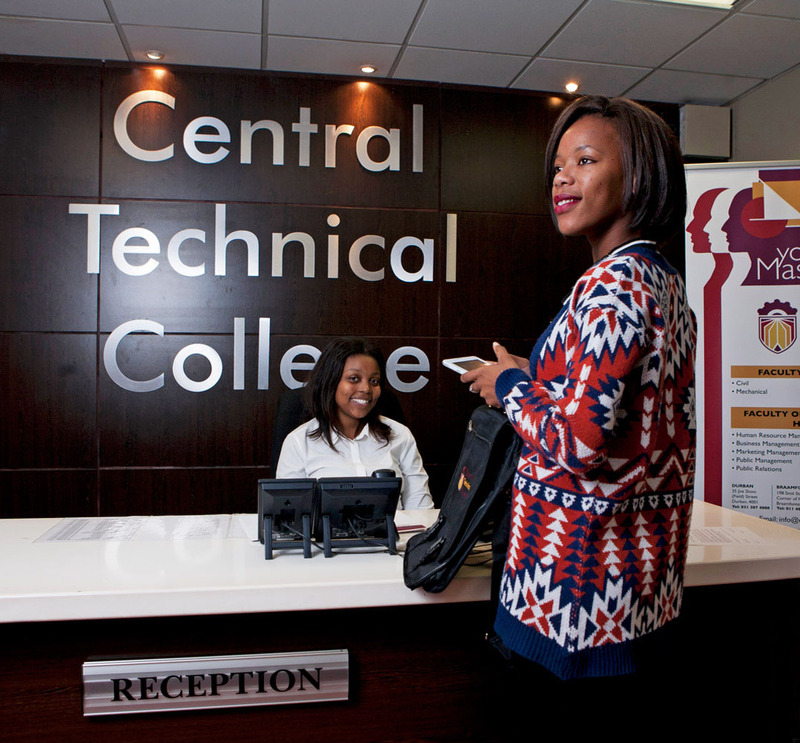 In 2010, Central Technical College opened its doors in the Further Education and Training sphere in South Africa, in response to the call for educated and well-trained professionals in the fields of Engineering, Management and Humanities. With the intention of paving an easier path to tertiary education for students without National Senior Certificates, poor grades and passes that did not allow them to study at university, we became champions of academic change and developed a unique range of courses so that these students could also study further and realise their career goals. Our courses hold a strong accreditation from the QCTO and are geared towards the technical thinker, the student with strong leadership attributes and those who enjoy working with people. Studying at Central Technical College empowers you with a qualification to access university, ignite a successful career and maintain consistent employment! Central Technical College (Pty) Ltd is provisionally registered with the Department of Higher Education and Training as a private college under the Continuing Education and Training Act, No. 16 of 2006. Registration Certificate No: 2014/FE07/001. Central Technical College (Pty) Ltd is also provisionally accredited by Umalusi, the Quality Council for General and Further Education and Training. Registration Number: FET 00880PA (Durban), 16FET0200040PA (Cape Town), 16FET0200032PA (Pretoria). Central Technical College (Pty) Ltd is further accredited with the Quality Council for Trades and Occupations (QCTO). Accreditation Number: 13/0007 (Durban), 13/0026 (Braamfontein), 13/0025 (Cape Town), and 13/0027 (Pretoria)..